Vivo, the Chinese brand known for innovative smartphones has announced a unique “Catch the #GoPop” campaign to build curiosity around soon to be launched V15 Pro smartphone. Vivo V15 is launching in India on 20th February and is the world’s first smartphone to be equipped with 32MP pop-up selfie camera. During the campaign, Vivo branded vans will tour in Delhi, Mumbai and Pune from Feb 9 to Feb 12, 2019. The #GoPop campaign will give people a chance to participate and win Vivo branded goodie bags every day in each city. In order to participate, one needs to capture a picture of the black Vivo branded van moving around the city and post it on their social media handles tagging Vivo with #GoPop. 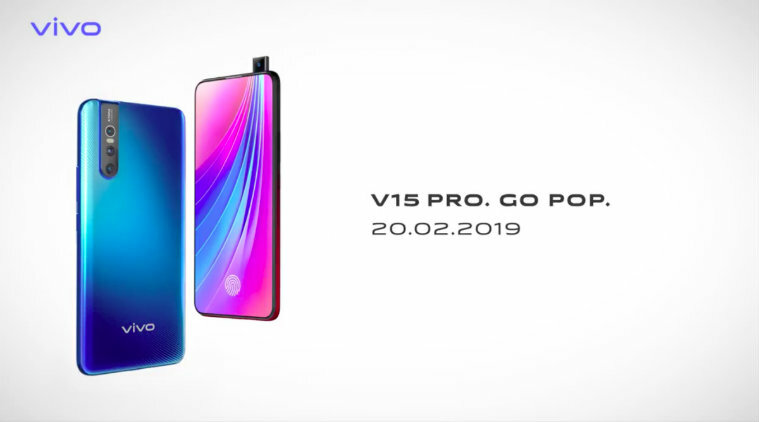 In addition to the goodie bags, 10 lucky winners stand to win the all-new Vivo V15 Pro phones and an exclusive invite to the main launch on Feb 20 in New Delhi. The Vivo van will pass through popular areas in the city such as Connaught Place, Greater Kailash, Hauz Khas, Gurgaon Cyber City in Delhi/NCR to Linking Road, Carter Road, Bandstand, Bandra in Mumbai and Shivar Chowk, Phoenix Mall Road and Baner Pahata in Pune. We shall be covering the launch event on 20th February. Stay tuned for more details on 20th Feb in the afternoon!